Bob, always having to watch his weight, has been a recreational runner his adult life. Being impressed with his shopping experience at Fleet Feet Carrboro, Bob was excited to have the opportunity to expand the Fleet Feet presence in North Carolina by opening the Raleigh store. He enjoys working with our great team and customers, from competitive athletes to those who just want to stay fit and have fun. When Kathy isn’t busy with her part time CFO responsibilities for RANKIN McKENZIE, a financial management firm, she is taking care of the finances for the store and assisting customers, especially on weekends. Bob and Kathy enjoy half marathons and an active lifestyle. A member of the Fleet Feet Raleigh crew since opening day, Amanda enjoys half marathons, trail races, and completed her first Half Ironman (Beach to Battleship) in 2009. Her background is in environmental science with a master's degree in Outdoor Recreation & Natural Resource Management at NC State. Amanda handles marketing and managerial duties at Fleet Feet, including community events and races. When not working at Fleet Feet Sports, Amanda can be found surfing, backpacking, playing the guitar, making wine, and best of all being mommy to her daughter Pippa. As our full time Sales Associate and Apparel Manager, in addition to serving customers, Jemissa also assists with Marketing and Inventory Management. She graduated from NC State University with a degree in Art Applications, but also has a strong interest in Interior Design. Jemissa’s main event is the mile/1500, with a personal best of 4:37 in the mile. She is currently focusing on 5k Road Races where she has achieved a personal best of 16:16. Prior to joining Fleet Feet Raleigh in August 2009, Lauren had been a loyal Fleet Feet customer, having shopped there since 1996 (Carrboro,Chicago, Raleigh). She liked the dedication to customer service, the FIT process and the enthusiasm of the employees, and that's what drew her to working here. Having completed a half marathon, several 10Ks and 5Ks and a sprint triathlon, she is working on getting faster and improving her times. When she's not at the store, Lauren enjoys running, practicing pilates, sewing, traveling, cheering for UNC (Go Heels!) and trying to decode feline behavior. Jeff is a graduate from Appalachian State University. He recently became an avid runner, completing his first 10K (the Old Reliable) in 2005 Jeff was born and raised in Hillsborough, NC and is Raleigh's little-known superhero. He's beaten Manchester United 13 times in a row, by himself. He doesn't require oxygen to breathe and in 2008 was declared Norway's most decorated curler. In addition to school, fitting shoes, entertaining the Fleet Feet Sports staff, and saving the world, Jeff enjoys playing the piano. Brent grew up in Charlotte, NC before graduating from NC State in 2005 with a degree in architecture. With a strong background in building and design, Brent moved to Asheville, NC before finally returning to Raleigh in 2008. Running since age 12, he enjoys races of all sizes but most notably the half marathon. 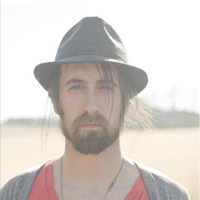 When not at Fleet Feet, designing buildings or practicing graphic design, you can find Brent playing drums and making music in several bands around the Raleigh area. 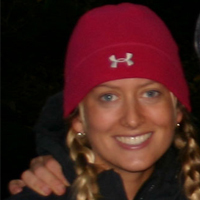 Kerry Seal joined Fleet Feet Sports in March 2011 after mentoring several of our Training Programs in 2010 and 2011. He graduated from Florida State University with a BS Degree in Leisure Services + Studies (Recreation), a BS Degree in Hotel + Restaurant Administration and a Masters Degree in Recreation Administration. Kerry left the retail industry after many years and decided to focus on his running goals in 2010. 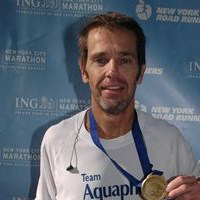 He achieved his biggest goal of competing in over 40 races in 2010 including 2 marathons, 33 half marathons, 1 17.75K, 1 10K, 1 8K, 2 10 milers and 1 5 miles totaling 41. Also in 2010, Kerry was a member of Team Aquaphor with 200 athletes throughout the country and was selected to be on the teams again in 2011. Kerry continues to set new goals and recently achieved his goal of running 1,000 miles from January 1st through April 30th and hopes to achieve a 3:10 marathon PR and compete in 30 to 35 races per year. When not at work you'll probably see him running up and down Cary Parkway, perusing the internet for his next race or traveling up and down the eastern coast competing in races. Shelly was born in Raleigh, but was sadly forced to leave at the age of four. Don’t fret, she came back to the beautiful state of North Carolina from Vermont to attend NC State in 2005 and graduated with a BS in Nutrition in 2009. She absolutely loves the Wolfpack (!! ), as well as her church, running (of course! ), coloring pictures, climbing trees, playing guitar and singing. She completed her first marathon in Burlington, VT (with her amazing mom right by her side) over Memorial Day weekend 2011 and is working to shave down her time to qualify for Boston! 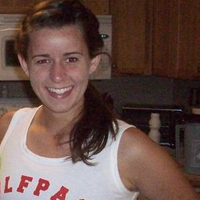 Emily started working at Fleet Feet Sports in April of 2011. She has lived in Raleigh for most of life and is a junior at NC State working towards a BS in Chemistry and minor in German. Having just completed her second Half Ironman in May, she is working towards racing a full Ironman at the Beach to Battleship in October. When she is not at Fleet Feet she is volunteering as an EMT, watching hockey, studying and training for triathlons. 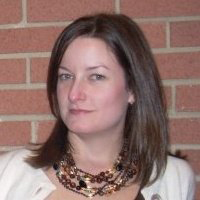 Kerri joined the Fleet Feet Raleigh team in October of 2011. Also a devoted practitioner of yoga (she recently completed the 200 hour teacher certification training), she uses running as a “moving meditation”, where she can focus solely on the breath and putting one foot in front of the other. However, she also enjoys the competitive aspect of running, having participated in many 5-10K races, half marathons, and is currently training for her fourth full marathon. 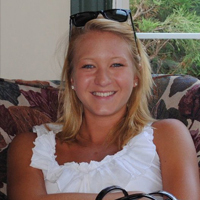 Kerri originally hails from Michigan, but has lived all over the U.S and most recently, the Dominican Republic. She and her husband now hope to make Raleigh their permanent address. Kerri graduated from Michigan State University with a B.S. in Packaging and has also been certified as a personal trainer through the American College of Sports Medicine. When she is not at Fleet Feet, running or practicing yoga, Kerri enjoys traveling, reading, and hanging out at home with her husband and her pets. Sharon was born and raised in Alabama (Roll Tide! ), attended college in South Carolina, married and raised two boys in Virginia, and moved to North Carolina with her family five years ago. After years of teaching and church ministry work, she has embarked on a new passion...running. With a bit of encouragement in early 2010, she skeptically put on her running shoes. The rest of the story: the City of Oaks will be her first half-marathon with plans to compete in her first sprint triathlon in the spring. When not at Fleet Feet Sports, Sharon enjoys family, a really good movie, a well written novel, lots of music, and McDonald's sweet tea. Devin is native Kentuckian who moved to Raleigh in the summer of '99 to attend NC State. He ran collegiate cross country and track for the Pack while working toward a BS in Business Management. After graduating, he found his home in running specialty and has spent six years in the industry. Devin continues his running endeavors and will join the adidas Raleigh Track Club in April. He boasts an 8k PR of 23:42 and has a goal of running sub 30 minutes for the 10k which he hopes to accomplish at the Boston Athletic Association 10k in late June. When not at the store or running, Devin enjoys spending time with his wife Laura and tasting stouts with his fellow beer nerds. Jerry joined the Fleet Feet Raleigh staff in 2012 after being a happy customer for several years. He was always impressed with the knowledgeable staff and their personable and courteous approach and welcomed the opportunity to join the Fleet Feet Raleigh team. Each day gives him the opportunity to be around “cool” people that are interested in an active lifestyle. Jerry spent over 30 years working in the semiconductor industry. He is proud of his three children, Crystal who serves in the US Navy, Jerry Jr. who lives in Chicago, and Brian who lives in Sunnyvale, California. Jerry spends his time outside of Fleet Feet living in a small farm house on his brother’s farm in Harnett County. There is always something happening on the farm! He enjoys running and hanging out with his Brick City Running Tribe friends. Jerry never imagined that running would be such a big part of his life when he started back in 2005. Since that time, he has run a number of half marathons and eight marathons that include Myrtle Beach, Marine Corps, Chicago, NYC, and Boston. His goal is to do two more marathons before setting other running goals. During college, Jacob agreed to train for a marathon with a friend, not imagining that he'd actually go through with it. But over four months of training, he discovered he loved distance running almost as much as he loved bragging about it, and after that first race, he was hooked on the sport. He met his wife while they were both working at Fleet Feet Carrboro. After a three-year stint in Berkeley, CA, where Jacob worked at a local running-specialty store, they've returned to the Triangle. 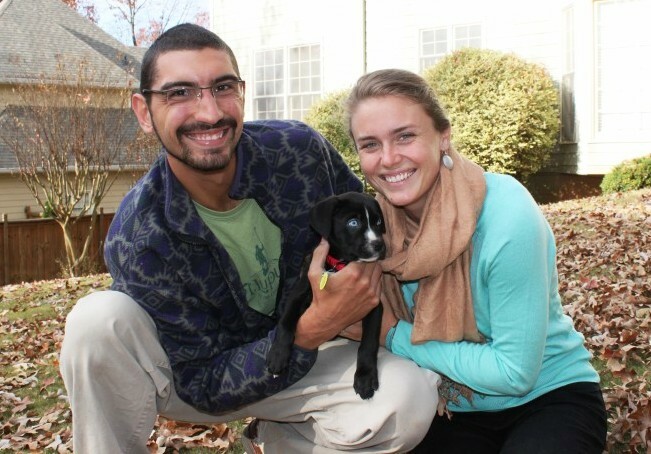 They live in Cary with their dog, Aston, an exercise freak who makes sure they never miss a workout. 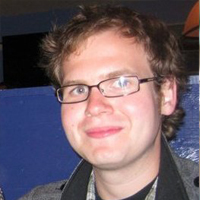 A graduate of Duke University, Jacob also works as a freelance writer. He edits the Fleet Feet Raleigh newsletter. Natalie grew up in the Atlanta area and is a graduate from the University of Georgia. At first she thought her ultra runner Dad was slightly crazy, but then she became intrigued and decided to find out what all this hype was about. He ultimately showed her the importance of fitness and leading a healthy lifestyle. She completed her first marathon in 2009 with her Dad by her side. After graduating from school, she moved to Chapel Hill and became a member of Fleet Feet Carrboro, where she discovered her passion for helping people and being a part of the local running community. She and her fiance then spent a year and a half touring Southeast Asia and teaching English in Vietnam. Now she's back in the Triangle and so excited to be a part of the Fleet Feet Raleigh team! When she's not working, you can find her on the trails at Umstead running with her 7 month-old baby (a lab mix), tasting local brews, listening/dancing to live music around town, or cooking a fine meal in her tiny kitchen. ﻿﻿﻿﻿﻿﻿﻿﻿﻿﻿﻿﻿﻿﻿﻿﻿﻿﻿﻿﻿﻿Sandra grew up and went to school in Scotland, played field hockey and went to the Scottish Junior Hockey Trials. She studied Business Administration at Glasgow College of Technology. In the mid-80's she moved to the United States but didn't start running until 2000, after her son was born. Since then she hasrun numerous marathons, several ultra-marathons and some triathlons. Her favorite race distance is the half-marathon. 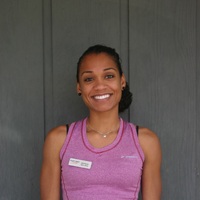 She is USATF and RRCA Certified and enjoys coaching athletes of all abilities and ages. This year she am training for my first half ironman at Beach2Battleship. When not working or training she enjoys going to the movies, reading, the beach and spending time with family and friends. Mardez was born and raised in Canton, Ohio (Pro Football Hall of Fame city!!). Running became a passion after winning her first 400m track race at age 8. She is an alumna of Ohio State University where she had a two year collegiate stint running the 400m/600m/800m and cross country for the Buckeyes. After succumbing to an injury she worked as team manager and supported her teammates for 3 seasons, pushing them toward two Big Ten Championships (Go Bucks!!). In June 2013, Mardez moved to the Raleigh area after completing her Master's degree in Sports Marketing and Management from Indiana University. When not at work Mardez is spending time with her boyfriend, playing tennis (still learning), or on Skype with family!